For residents of North Hollywood and adjacent communities, going to a decent weekly farmers market means a Tuesday evening schlep to Sherman Oaks to the Woodman Avenue Farmers&apos; Market, or joining the fray at the popular Sunday Studio City Farmers&apos; Market. 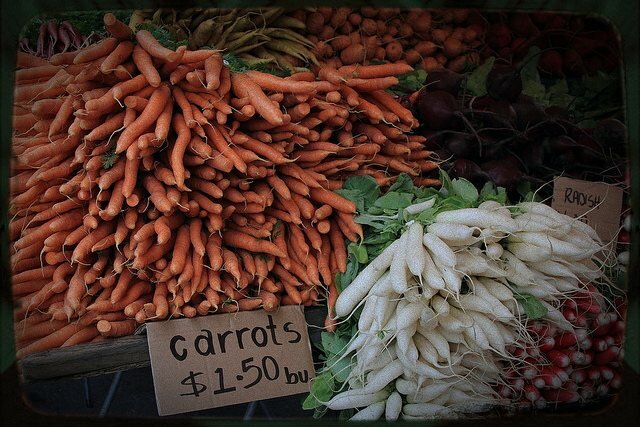 Starting Saturday, October 1st, though, the NoHo Arts District is getting their own weekly farmers&apos; market. The goal of the market, as envisioned by its founder, a NoHo resident, is not only to get good, fresh produce into the community, but to bring the area&apos;s diverse residents together in a family-friendly space. The market, which will run Saturdays from 8 a.m. to 2 p.m., will have live music; produce and packaged food vendors; booths for crafters, artisans, and local small businesses; and even a dog-sitting station, says NoHoArtsDistrict.com. The NoHo Arts District Farmers&apos; Market will be located at 5200 Bakman (between Lankershim and Tujunga) at the corner of Magnolia, with street closure north to Weddington.